We keep seeing more and more camera lenses on smartphones, but this might just be getting close to overkill. 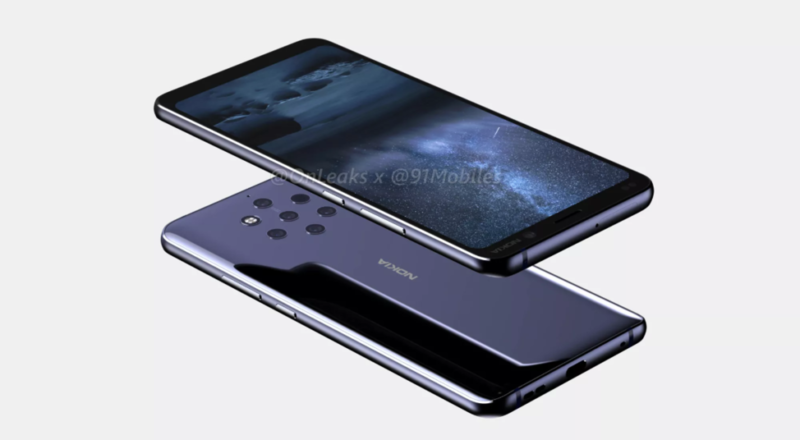 A new Nokia 9 PureView is apparently on the way and this time leaks seem to be more believable because of the source. If Steve Hemmerstoffer posts something it’s almost true, even if these are rumors, and that’s precisely what we have. More rumors and leaks of a Nokia 9 PureView have surfaced that show us the Penta-lens configuration. We really don’t have details of what to expect, but at least we know that it will have Zeiss lenses, an in display fingerprint sensor and we can guess it will have a SD 845 processor with 8GB of RAM. The best thing is that there’s no notch in sight.